One of the secrets of home improvement is knowing that a project doesn't have to be huge (or expensive!) to have a big impact... as in the rest of life, sometimes "it's the little things". With this in mind, our series of "Quick Fix" posts deal with small projects that don't require a lot of time or expertise, but hopefully have the potential to make your daily life a little brighter. Today's topic: how to get rid of that old, disgusting toilet seat in your bathroom. There comes a time in the life of every toilet seat when it becomes so stained and mildewed that it defies salvation; when this happens, it's best to put aside bleach and sponge and simply put the poor thing out of its misery. Fortunately, this can be done quickly and humanely in less than 15 minutes and for less than $15. cover like my grandma has on her toilet seat. 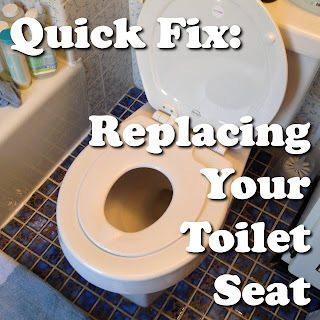 Also, you should think of replacing your toilet seat not as a chore but as an opportunity, because there have been wonderful advances in toilet seat technology. 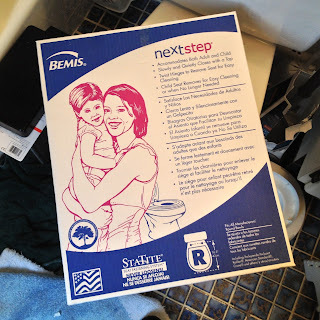 For example, we opted to replace our old seat with the Bemis NextStep ($43 on Amazon), which boasts quick-release fasteners (for easy cleaning), a built-in potty seat (which magnetically attaches underneath the lid when not in use), and "Whisper-Close" hinges (reducing the likelihood of bruised knuckles when our little ones use their sweet new high-tech potty seat). Whichever brand and style you choose, make sure you get the correct size. Toilet seats come in two basic sizes: round, and oval or "elongated". Residential seats tend to be round, while oval is more like what you'd find in a public restroom or hotel, although it's possible you might have one in your home. our toilet on the Internet. I bet she's not a fan. That's it! While this little project may seem like a trivial thing to spend your time and money on, keep in mind that your toilet is quite literally something you every day. In my experience, it's little improvements like these that quickly add up to making your home feel like a palace. 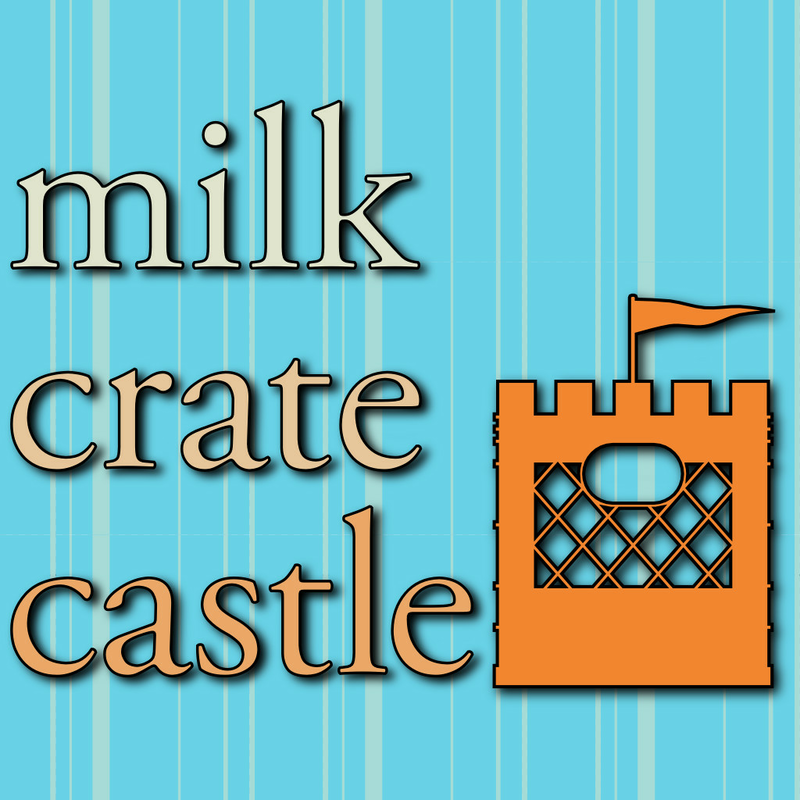 Here in the Milk Crate Castle, we believe "fortune favors the bold", which is why we're not afraid to tackle home and family projects even when we're short on time, resources, or expertise. Let our failures be your consolation and our successes be your inspiration! "Because 80% of life is showing up." (c) Copyright 2009-2013 Nicholas and Joy Arcolano. All rights reserved. Picture Window theme. Powered by Blogger.